Royal Ascot is arguably the most glamorous and stylish event in the sporting calendar. 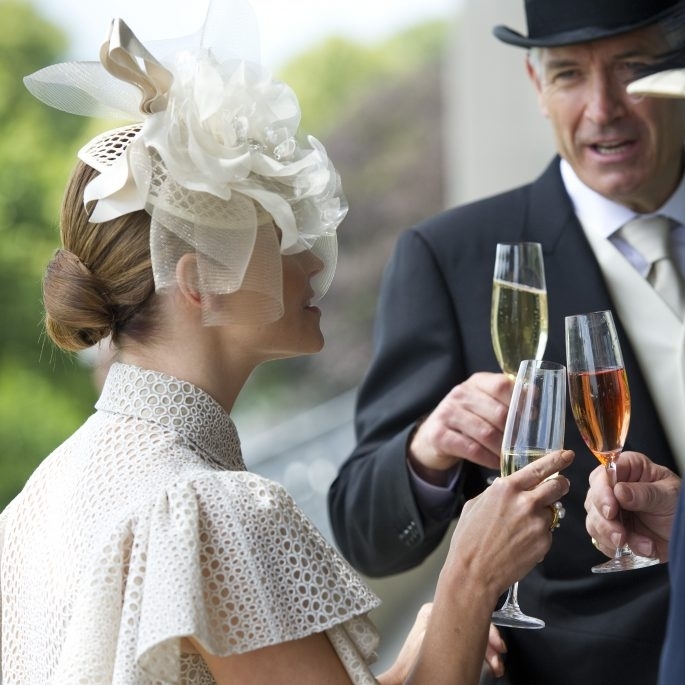 Dating back to 1711 when founded by Queen Anne, Royal Ascot week is attended every year by Queen Elizabeth II, The Prince of Wales and members of The British Royal Family. Royal Ascot has a tremendous prize fund each year with over £6.5 million won in 2017. Ascot Racecourse is located in Ascot, Berkshire and is one of the World's most famous racing venues hosting many of the year's Group 1 fixtures. 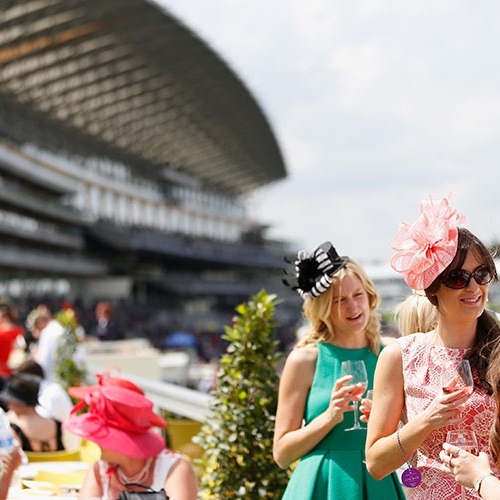 There are several ways to enjoy the Royal Ascot week. With entry-level tickets starting under £50, there are areas and options to suit all budgets. The racing, which starts on a Tuesday, can be enjoyed by individuals, as well as corporate groups. There is a wide range of hotels in the Ascot area which makes it very easy for those travelling long distances to stay overnight following the event. Vision4Sport is pleased to offer a wide variety of options, including enclosure tickets and VIP corporate hospitality. Those opting for Royal Ascot hospitality can expect exquisite food, fine wines and liquors. With fantastic views of the track, hospitality suites provide the perfect opportunity to entertain important clients or treat that someone special. However, you choose to visit Royal Ascot, you are sure to leave with a memorable experience full of excitement, style and luxury. 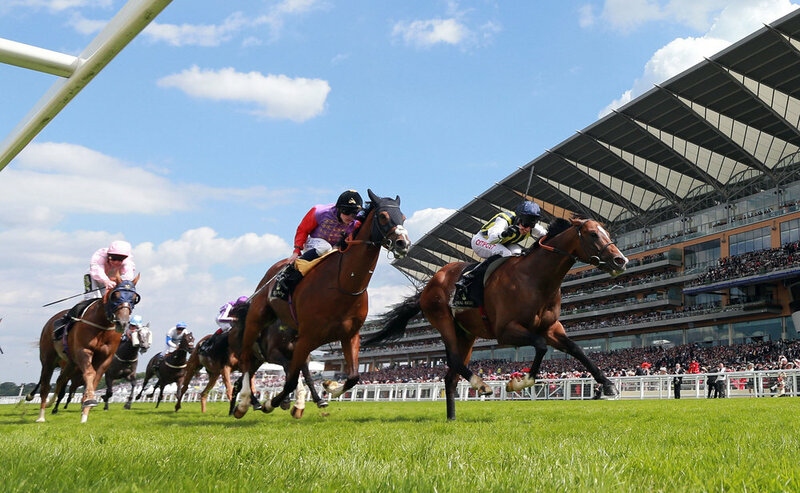 We are proud to offer the best in official Royal Ascot hospitality packages for the 2019 meeting, as an Official Hospitality Supplier (OHS) appointed directly by Ascot. Set within the original racecourse building, the Old Paddock offers a relaxed environment away from the masses and a unique position overlooking the horses and saddling boxes in the Pre-Parade Ring. Bookings can be made for a minimum of two guests, with private tables available for parties of eight or more. Within the Royal Ascot Pavilion lies a world of elegant sophistication. This historic, Grade II-listed building combines the heritage and elegance of Ascot with sweeping views across the Plaza towards the Parade Ring; a vibrant restaurant from which to enjoy the delights of Royal Ascot. With its great menu and location, this facility is an exceptional value. Bookings can be made for a minimum of two guests, with private tables available for parties of ten to twelve. The Furlong Club occupies a prime location, course facing immediately to the right of the main Grandstand and as the name suggests just inside the furlong pole giving a spectacular view as the racing action unfolds. Benefitting from a private balcony and elevated position this gives you a great spot to enjoy the racing and the Royal Procession. Incidentally, as the Royal Procession passes, the Furlong Club the members of the Household Cavalry strike up the National Anthem. If you are a proud Royalist, it's a real spine-tingler! The Lawn Club is a beautiful, elevated track-facing structure with uninterrupted views of the course from a private viewing balcony, with a giant screen directly opposite, ensuring you don't miss any of the thrilling action. Situated right at the heart of the trackside excitement and just 300 metres from the winning line, The Lawn Club allows you to experience the pomp and pageantry of Royal Ascot with informal dining in an intimate surrounding. Bookings can be made for a minimum of two guests, with private tables available for parties of 8 or more. A brand new facility will be in evidence in 2018, with an elevated second-floor suite above The Lawn Club. This facility, yet to be given an official name, replaces the Sandringham Restaurant. We are therefore referring to this option as The Lawn Club - Upper for the time being. The benefit of this location is that all racing action takes place immediately in front of you and the Royal Procession will pass directly in front of the facility. Bookings can be made for a minimum of two guests, with private tables guaranteed for parties of 8 or more.